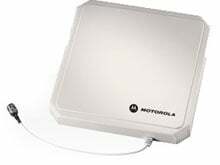 The AN480 single port antenna offers maximum performance and flexibility. The low axial ratio is nearly 50 percent lower than typical competitive devices, delivering a more uniform gain "" and better performance. The wide frequency range enables this antenna to be utilized in worldwide deployments, providing cost-efficiencies and a simplified RFID infrastructure. The AN480 can be installed throughout the enterprise in manufacturing and warehouse floor environments, or any dock door receiving application. As with all Zebra antennas, the AN480 uses Zebra's standard mounting bracket "" mounting the antenna for the first time or upgrading an existing Zebra antenna with the AN480 is fast and easy.